A bat expert has blamed sloppy horse management for a number of Hendra outbreaks. Twelve horses have died in Hendra outbreaks across Queensland and NSW in recent weeks, prompting calls from political leaders and the community for bats to be culled. Bats are believed to transmit the virus through body secretions to horses, which can in turn infect humans. Dozens of people who came into contact with the sick horses are being monitored and will undergo three rounds of blood tests over 21 days before they can be cleared of contracting it. WWF bat expert Dr Martin Taylor said horse owners needed to heed better hygiene and horse management. "I think sloppy horse management [is to blame]," Dr Taylor said. "Horses are the animals that transmit the virus to humans, it's not bats. "Nobody is calling for a mass culling of horses are they? "The solution to rare diseases like this is good hygiene. "The bubonic plague was defeated by good hygiene." Horse owners are advised not to leave horses, food and water troughs near trees inhabited by bats. Ed Comment; It was Chris Tideman who was responsible for the planned culling of the Melbourne Botanic Gardens Flying Foxes, but the cull was stopped by community outrage and political pressure. Tideman is an "ecologist" how likes to manage environmental issues by killing wildlife. The State Government could face legal action for not removing disease-carrying bats from Queensland communities. Kennedy MP Bob Katter will next week announce plans to raise money in communities around Australia to bring legal action against the Government for failing to remove bats in communities including Charters Towers. 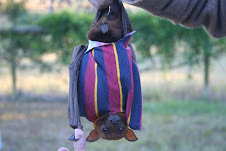 Should anyone die or fall ill from the Hendra virus or another bat-related disease before the action is launched, Mr Katter plans to launch criminal action against Premier Anna Bligh under section 289 of the Criminal Act 1899 (Qld) for breaching "the duty of persons in charge of dangerous things". In a letter to Ms Bligh last Wednesday, Mr Katter warned he would be calling on groups from across Queensland to come forward and start raising money to force the Government to remove bats from communities. "If a human death or illness arises from the Government's rules laws (sic) and failure to act, such monies raised will be used to pursue whoever's breach of duty of care has resulted in whole, or part, in such human pain and suffering," the letter read. "Without the undertaking of any reasonable action to avoid this danger posed to human life, we intend to hold you, Anna Bligh, personally liable for the death, illness or injury occasioned by the presence of the flying foxes in areas where people live and work in North Queensland." This seems to be a great site which offers Animal Control Austin, Bee Removal Austin, Wildlife Removal Austin etc. and i would surely like to try their service...i had been relying on Wildlife Removal Austin earlier and they too offered good stuff.